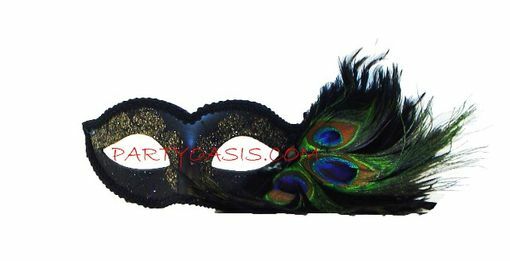 Elegant black masquerade mask with peacock feather detail. Can be worn with the black ribbon ties that are attached. Mask has a hard, durable plastic core, yet lightweight and comfortable.